Your local hardscape contractor! 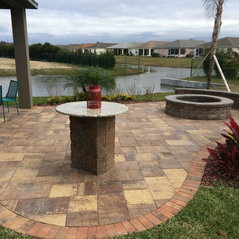 We specialize in Brick Pavers, Travertine, Fire Pits, Sitting Walls, Columns & More. 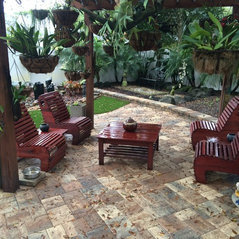 We create unique outdoor living spaces. 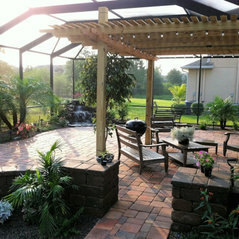 Every outdoor living project is custom designed and installed from start to finish. 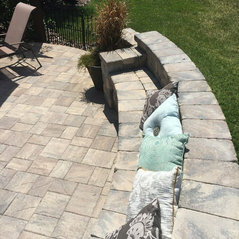 The end product is a beautiful, functional and unique outdoor living space to call your own. 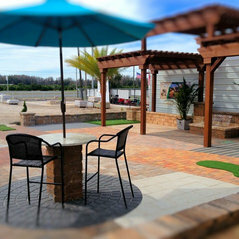 With Elite Pavers, you get value... the finest quality hardscape products offered and a team you can almost call family. Durchschnittliche Projektkosten:210.000 USD - 560.000 USDEvery Installation is unique. An on sight estimate is required. Great team to work with from office to field. Quality of work is exactly what was expected. They met all deadlines or were ahead of schedule! It was a pleasure to deal with Eddie and his employees with Elite Pavers. Our driveway and walkway pavers and concrete curbing turned out excellent. Better than we expected! 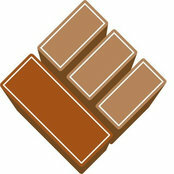 Highly recommend them!